Ward’s Fully Renovated Offices in Ilkeston. An East Midlands recycling company which specialises in the recycling of ferrous metals has secured a £6 million finance package from HSBC UK to support its ambitious growth strategy, both in the UK and overseas. Ward, which has sites in Swadlincote, Ilkeston, Chesterfield and Immingham, is using the funding from HSBC UK to support the operation of its new deep-sea dock facility, enable the purchase of a new, 40-foot metal-processing plant which prepares the metal before it is exported overseas and relocate its 350-strong team to new offices. An additional uplift in the company’s trade line will help the business export more recycled metal to its existing markets in India, Pakistan and the Far East. 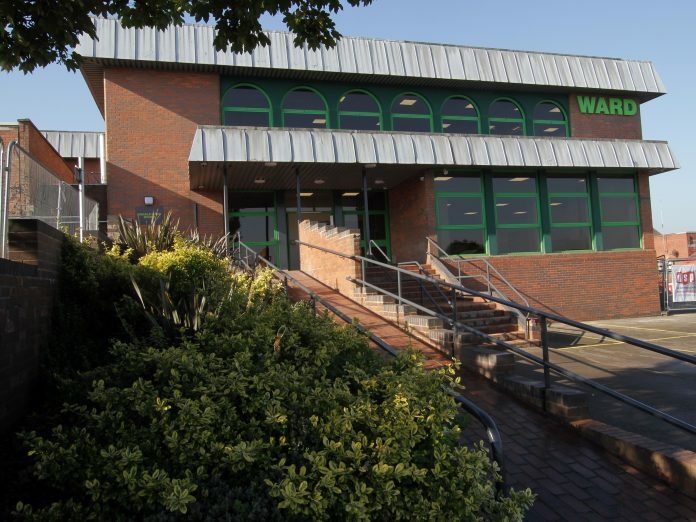 The office move and resultant growth will facilitate the creation of 40 new jobs across its three sites, including hazardous waste managers, commercial and industrial waste business development managers and telesales staff. David Ward, Joint Managing Director of Ward, said: “The continued support from HSBC UK has enabled our business to realise its growth ambitions, open up new revenue streams and better serve our customers. Roger Pratt, HSBC UK’s Area Director for Corporate Banking in the East Midlands, added: “HSBC UK continues to connect UK businesses to international opportunities and we’re thrilled to be able to provide Ward with the funding to grow their business here in UK and overseas.